This page will give you a direct link to all scripts and useful one-liners I have written. Is there any script to generate replictaion health report of Virtual machine which are in cluster. it should have replication health status and last replication stats. Can you help me with script to identify VMs with Vmtools “Out-Of-Date” and update the tools on the VMs without reboot. There are a lot of ways to do this and most are very simple – see https://kb.vmware.com/selfservice/microsites/search.do?language=en_US&cmd=displayKC&externalId=1007069 for a good script from VMWare themselves. I wrote a script that shuts down the VMs in the VCenter and modifies the vmx file to disable the hot-plug capability and restarts the VMs. The script was successfully tested in the test environment but weird things happened when I attempted to run it in the production environment. The script recalls a .txt file with the list of all VMs in it. In this scenario I attempted to run the script on one VM in production environment before implementing it across all the VMs. 1:37 PM – alerted that the VM was rebooted again. VM logs show the Ethernet controller was ejected. For whatever reason, the script rebooted the machine again and ejected the Ethernet controller approximately 30-40 minutes later. Please advise as to what could be wrong here. Hi All, looking for a script to remove all the storage from a cluster. Unmount and detach or if there is an easier way. The cluster is going away and the storage teams wants to unpresent it. looking for a script that would list datastorecluster name, all vm’s using this datastorecluster name and the cluster that the vm’s reside. computer name at where user logged in on the entire network. I am looking for the script which will provide me the current set of permissions on the following set of files and folders withing ESX/ESXi hosts.I need to create this report every month for all the hosts in my environment.The task is manual and time consuming too.Can any one help me with the script which will help me to accomplish this. The list of files and folders are as follows. i was wondering if you had wrriten any script that can check a VM’s CPU usage and advise if it is over sized and recommand number of vCPU. from my understanding more vCPU doesnt always coutn towards high performance. anyone welcome to comment. First off, Im really glad I found this site. You and other contributors rock! I have looked through the scripts and found many that will save us a lot of time and trouble. On that note, do you know of a way to script finding all VM’s that were moved and powered back on due to a total host/network/storage failure? Currently, VMWare support can’t tell us how to get that info. Hello, is that EMC me redirect your blog to get information. I wonder if it was possible to script the automatic reinvotory my VM’s on the Bay of replication. I would have had to happen. Reinventory the VM’s on the LUN of SNAP on the Bay of replication. How can I submit a new plugin? Hello…I am looking to move a bunch of VMs from cluster to cluster using an NFS swing disk and need to determine VMs allotted and using high memory but with little disk I/O. 8 node clusters with approx. 750 VMs….don’t want to have to go through them manually. I ran the script you provided, but it did not return anything. Sorry to be such a bother. Could it be an access issue? i’m beginner in Scripting, can you asisst me in having a script which shows all the VM’s which are powered off on each esx host and date they are powered off. and everything can be extracted to .csv form. Sorry, I did not see your response come in. Thanks for the syntax. I will check it out in the morning. Thanks for the scripts these are very helpful. I need some scripts where i can get cpu usage,memory usage, for both the esx hosts & vm in my environment. I need to Generate monthly reports for the capacity. $_.Name shows the ESX Hosts name then $_ | Get-VM shows all VMs under that host. Can anyone tell me why the following statement results in no VMHost name being returned? I have a complete script that provides all the information I need, but I would like to add the ESX host name and I am finding it very difficult to do. I only have limited access to the ESX as I am a server SA not an ESX manager. Can some one help me with the steps to work with this scripts. is it possible to create a VM where the cpu/proc speed can be off specified value or cpu cycles can be fixed by the user? Is there a script that will tell me which vm’s are running SQL services? I have about 300 vm’s and I don’t know how many are running SQL server in one form or another. Thanks for the great scripts! Any script getting guest OS on VM’s? 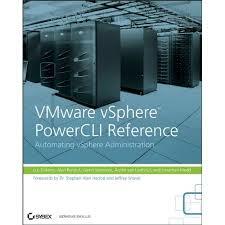 Does anyone have the updated version of this with all of the corrections already in it for vsphere 5/Powercli 5. If so please can you e-mail it to me. I need to change IP address, Hostname and gateway of single or 10 number of Linux VMs. Does anyone have a script to get this done? I have over 500 esx servers and need to find out how many of them are configured to automatically startup its Vms when the hosts boots up. Does anyone have a script that will pull this information down quickly rather than me checking every host individually? installed the virtu-al.net powerpack. right-clicking on the node does not give us the ability to import the pack. at this time i cannot collapse the built-in queries. IS there anyway by which I can find out the Disk Read and Write Latency on the VM disks? No the disks on the ESX, but Disks on the VM. Absolutely, as long as they are accessible to each other over the network. Would it be possible from VM(guest Machine) that on which ESX server it is resides on? For any non “i” version of ESX I recommend the ESX Healthcheck shell script (https://sourceforge.net/projects/esxhealthscript/). This wont work on ESXi due to the lack of a service console. In this case I would recommend the PowerShell based health script from Al (http://www.virtu-al.net/featured-scripts/vcheck/) or the health check script from Ivo Beerens (http://www.ivobeerens.nl/2009/01/06/new-version-of-the-powershell-healthcheck-script-released/). What version of ESX and do you want PowerShell or a Linux shell script? Is it possible to produce a one liner that shows multiple vmnic MAC addresses for guests and hosts? I have this so far, but I am still learning. I am looking for Powershell script to check VM first boot device is Network or local storage. I am looking for a way to list each esx host and all the guest located on the host. I think i have seen it before but not sure. Is there a script out there for that? Alan gotta say this is going to be an awesome addition to our vCenter monitoring. Thank you! I do have a quick question. I would LOVE to get the web page output of vCheck as an addon to vCenter so when our service desk is in the VIC they could add this page as an addon and pull it up without leaving the VIC. Any ideas on how to accomplish this? First of all I would like to thank for this grt repository of scripts.. I am really new to powershell and VM administration and really want to learn a lot and hope to get great help from you guys and thanks to you all in advance. I m trying to generate a report for last logons on virtual machines,script in which i can specify the login dates, i need this script to get VMs which has not been used for a month.. Please let me know if there are other options to get these details. m looking for a script that can pull perfrmance report/charts (graphical) on all VMs for last 30 days. Datastore XYZ Has 2 Windows2008Std, 4 Windows 2008Enterprise. I have two main VMware environments, back-end and customer facing and I have vKernel monitoring on the customer facing environment. Each day I get a cool report, Capacity Monitor Datastore Statistics Report, which gives me some useful information (total space, allocated space, free space, commited %, utilized %). My experience with powershell is related to Exchange and not VMware so all the commands available are new and I am just learning them. So far I have not found a way to get this same type of information (very useful with thin provisioned disks) using powershell. I see that get-datastore will give me some of the information but nothing related to the ‘over’ allocated space of each datastore (i.e. 2 TB lun with 2.7 TB allocated and 750 GB free). Could you point in the direction to where I can find this information/command(s) in powershell? Thank you for your time. I have manage to write the script for manage thin provisioned datastores. script will migrate vms from datastore which doesn’t have free space to free datastore. it will take care that destination datastore will have enough free space. Hello Alan, thanks for your scripts ..
we have thin provisioned all the VMs and now we have set alarms on datastores..which shows us alert if datastore is used beyond 75%. and i am waiting for ur book,, when can hold it on my hand? Hopefully the end of April – Don’t hold me to that though ! Thanks, you need to look at the remove-snapshot cmdlet, there are some good examples in the help. I would like to see both, but would take just the datastores if I had to. Either way I am going to need to correlate what VMs are mapped to what RDM devices. I need to export the I/O and MB/s for each connected SAN LUN in XML or CSV. Is there a way to do this? When you say SAN LUN do you mean datastore and RDM or just datastores? You can set a manual mac address on the vm but I don’t think you can use the same pool as what is used as the current mac, maybe an adjustment to the vmx file and a re-register would do it but I would need to check. Then you could automate that. Does anyone have a ecoshell script to remove hidden network adapters from a VM? Bit of an idea, trying to put together a script that will show VM’s by the folder structure in vCenter and let you choose what info to show, power state, memory, cpu etc..
Is it possible to script the iSCSI initiator nic binding? Usually you’d use the “esxcli swiscsi” command but I can’t find any version of this for PowerCLI. Script Request: Search a datastore for all templates and register them in vCenter. Since Templates ownership cannot be transferred to another host, rebuilding a host which owns templates requires us to manually re-register the templates. This is a pain. I have been harping on VMware to fix this and make Templates portable like VMs. Check your email – Happy Holidays. Sorry in my previous message missed couple of things. Iam looking for script which can pull stats as mentioned earlier for every 30mins intervals. Iam look for a script which can pull cpu & memory stats for VM including max, min & AVG. I need a script to change of solaris guest ‘s ip adrress . Can you help me ? First let me say wonderful job on the vCheck 5 script. It is awesome!!! I wanted to see if you had worked on anything related to creating patch compliance reports for ESX hosts? It would be great to either create a standalone script or add it to vCheck as an option. Looking for a script similar to others I have seen but that captures all VMs but what resource pool they are registered under. Creating a new vCenter install. Have powershell script to recreate my resource pool organization under clusters but want to place the VMS by name reference back under those cluster’s resource pool structures. Have you seen Luc’s great post on this ? Alan, do you know of a script that would show me a list of VMs on a datastore but specifically relating to thin provisioned VMs? I am trying to find a way that I can tell the amount of space used and over provisioned…. Does that make sense. Thanks for this awesome repository of scripts. REQUEST: Please give us one script to collect patch information from the esx hosts in the VC and export it to csv or HTML. This is a great repository! I’m looking for script to show the build version of VMware tools into vm machine…. Do you have a script stashed anywhere that will sync ESX advanced settings across all hosts in a cluster? I’m looking around for one before I write it myself so I don’t have to reinvent the wheel. Pingback: VMware vSphere - виртуализация ЦОД » Список скриптов PowerShell (VMware vSphere PowerCLI). Script Request: Need a script to change the portgroup connection in each VM from X to Y. ie. I have 100 VMs that need to move to a new VLAN (portgroup). Editing the settings of each VM and updating the portgroup connection would be tedious. I would love to but cant find a nice ‘non dependant on 3rd party tool’ way of doing it. Great Stuff!! I’ve used the report.ps1 script for a while now. Are there any plans to remove dependencies on the Office Web Components? MS has stated those are depricated. Have you tried this… http://communities.vmware.com/message/1105904#1105904 you can always use this function to do…. This is a great repository! Is there a script to get a list of which roles are applied to which groups on which folders? Thanks! Awesome collection! Thanks for sharing your knowledge Alan. I wonder if you could help. I am really new to powershell on VMware so feel free to be gentle. I am trying to work out the powershell command to show the last power on event for a host and also the memory size for the host as well. I have about 200 hosts I need to check this on so if I could use PS I would laughing! Ummmm, its coming, other stuff keeps getting in the way ! where is the list then ? Sorry looks like I was wrong, check this link, there is a way to mass do this but not using the PowerCLI cmdlets independantly…. Thanks for the fast response and helpful link. But, I am still looking to replace esxcfg-firewall -o 1311,tcp,in,OpenManageRequest command with a powercli cmdlet. Do you know of an equivalent in powercli to the esxcfg-firewall -o command? I am new to powercli and have not found a way to open a port. Thanks for your time.